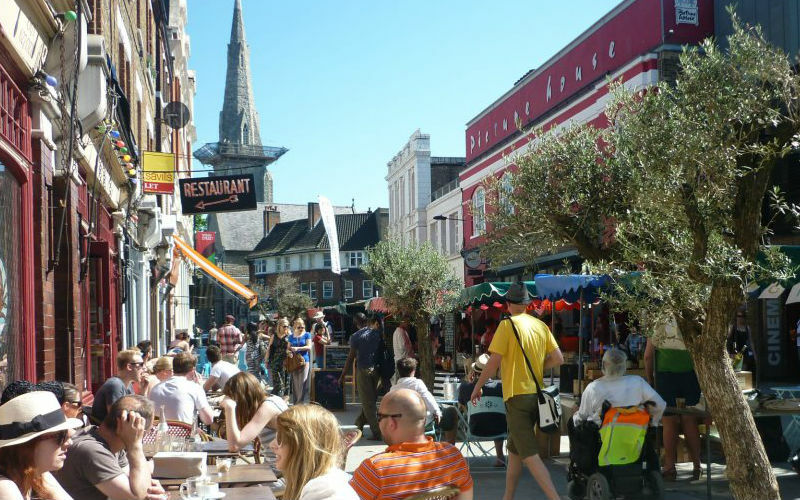 A much maligned area of south London dismissed by anyone that doesn’t live there as being full of only posh people or Australians (but not posh Australians), Clapham, in reality, has plenty going for it. If you’re after a good feed then Clapham is home to one of London’s most loved restaurants, Adam Byatt’s Trinity, which now has a much-deserved Michelin Star. 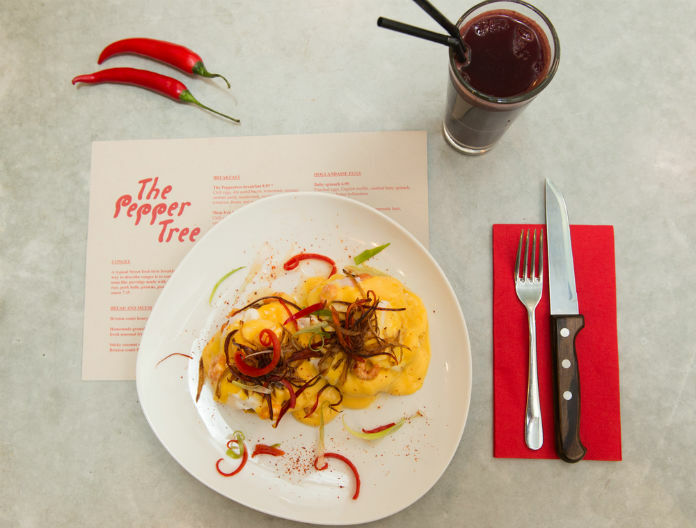 On the more casual side of things, Adam also runs Bistro Union, plus there’s No 32 The Old Town, The Pepper Tree and The Rookery to choose from. Don’t miss Venn Street food market on Saturdays either. There’s plenty of good places to drink too (must be all those Australians) including Northcote Records, The Jam Tree, and Infernos. The Jam Tree is a gastro-pub that’s great for a first date, a relaxing dinner, post work drinks or even hosting your own private party. The pub is pretty spacious and features a long BLINGING bar which means you don’t feel cramped or pitched right next to a group who are pre-drinking for a heavy night out whilst you’re having a nice relaxing meal. 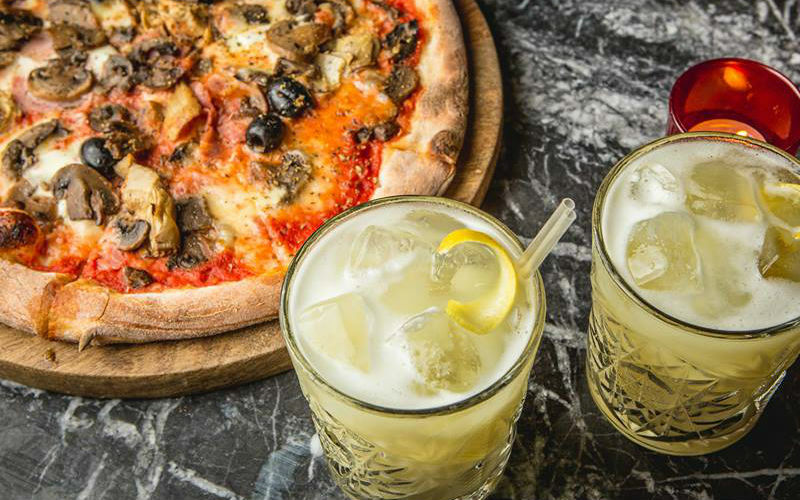 The menu features a mix of European and Asian dishes, and when it comes to the drinks, you’ve gotta go for one of their ‘Jammy Cocktails’. Darwin & Wallace specialise in neighbourhood restaurants mostly found in West London villages. 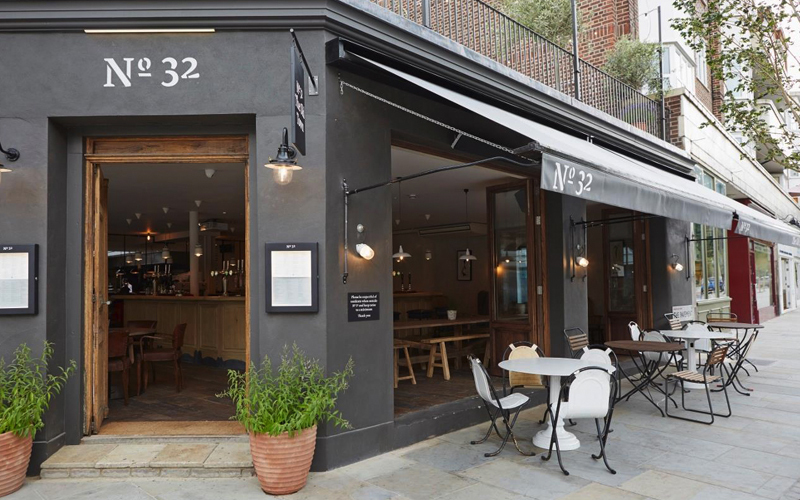 Clapham’s No 32 The Old Town serves up everything from breakfast to dinner, craft beer, clever cocktails and has a fine looking roof terrace. The menu features classic British dishes with modern ingredients; think beef and black pudding croquettes, mussels mariniere with fries and the No 32 house burger. The service at No 32 The Old Town is pretty attentive and the staff are friendly, happy to help and are full of recommendations on drinks to suit your mood. As far as neighbourhood joints go, this one ticks all the boxes. 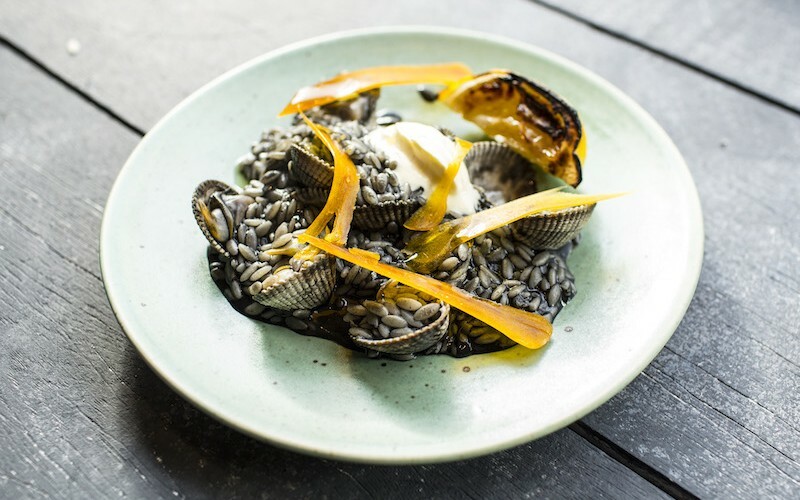 Trinity in Clapham has been feeding Londoners since 2006 and after a complete re-design of the restaurant chef Adam Byatt has now also launched ‘Upstairs’. It is a much more casual affair than the traditional restaurant below, but there is definitely no compromise on the cooking, with each dish lovingly prepared by Adam. The changing daily menu of small plates is perfect for sharing and they have a ridiculously long wine list too. Upstairs has taken Trinity to new levels (literally) and is defo one worth climbing the stairs to. 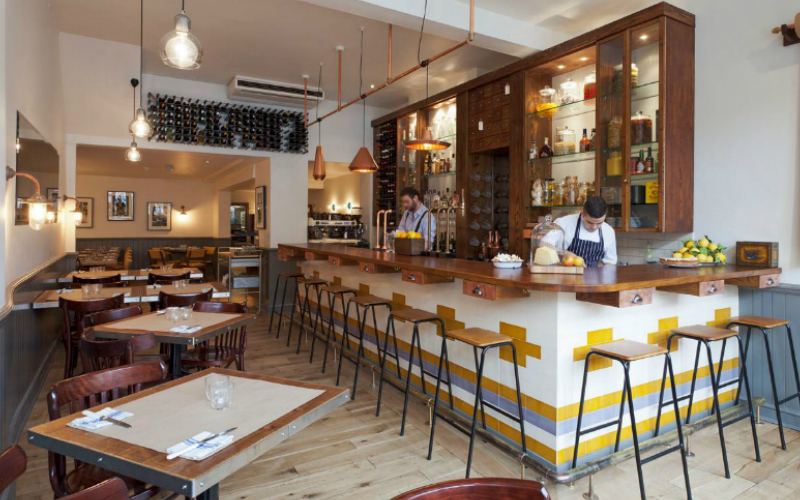 Bistro Union is hidden away at the far end of Clapham Common, a short walk from Clapham South tube station and is another joint from Clapham legend Adam Byatt. By mid-evening the restaurant is full of professional young Claphamites – some enjoying the full menu, others just dropping in for drinks and bar snacks. It’s a quintessentially British menu, with everything from Welsh rarebit to steak and chips to Cornish mussels cooked in perry cider. Service is very friendly and well informed, with staff able to talk about the ingredients and their provenance. Bistro Union puts the ‘great’ in Great British food. 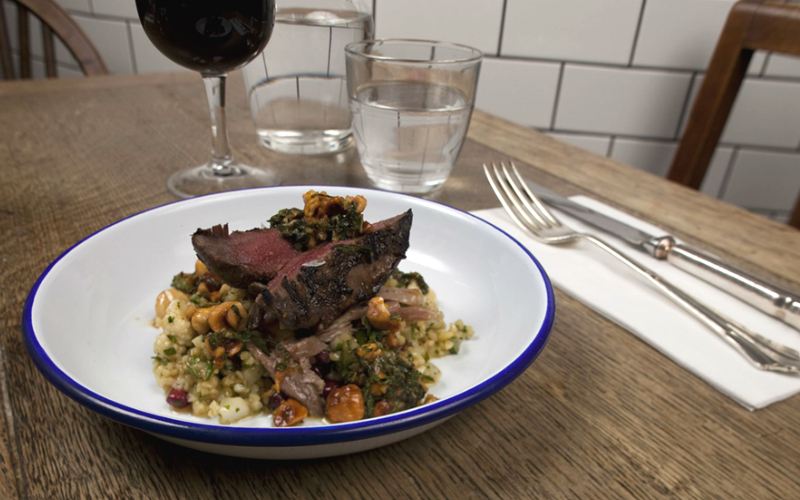 The Rookery in Clapham is a proper neighbourhood joint – a small kitchen and grill on the outskirts of the Common. Here, they pride themselves on creating simple, seasonal dishes with personality, and providing interesting beers and wines from small and independent suppliers. The cured meats board makes for a nice light starter and the giant house cheeseburger, which comes with coleslaw and a huge mound of fries, is a winner too. Every neighbourhood deserves a first class place where local people can get great breakfasts, healthy lunches and delicious but inexpensive dinners. 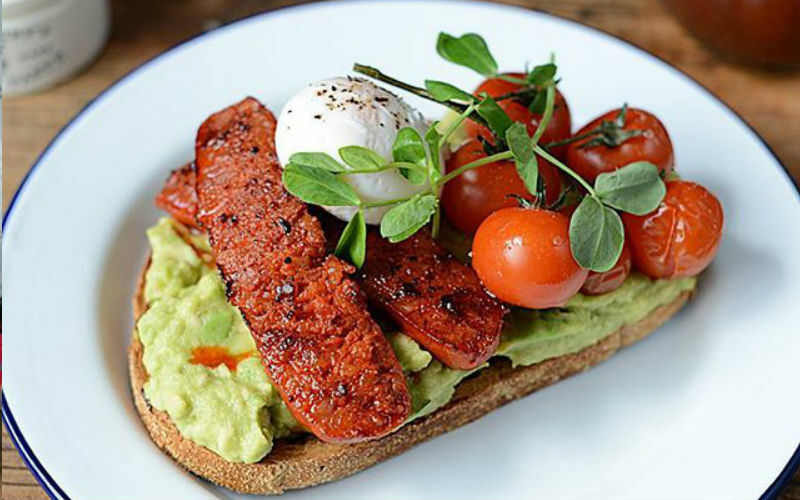 Ben’s Canteen is just that in Clapham, serving classic food in a relaxed atmosphere. Ben’s is especially good for burgers and their brunch menu has everything from eggs and avo to a hangover-friendly Recovery Burger. Portions are generous too so you defo won’t be leaving here hungry. Name sound familiar? That’s because its sister bar Northcote Records is just across the common on the other side of Clapham. This branch on, you guessed it, Venn Street, is pretty much more of the same, with drinking, dancing, pizza and music to the late hours. But then again, change isn’t always necessarily a good thing, right? 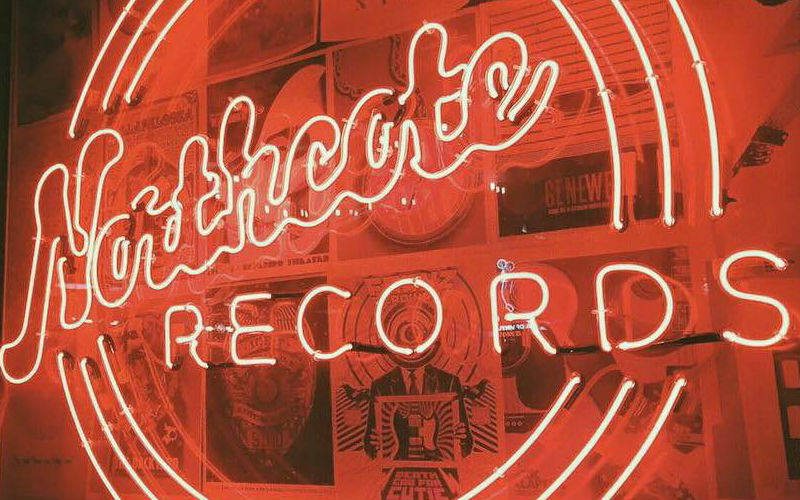 Don’t be deceived: if you head to Northcote Records in the hopes of picking up your favourite tracks on vinyl, you are going to be sorely disappointed. 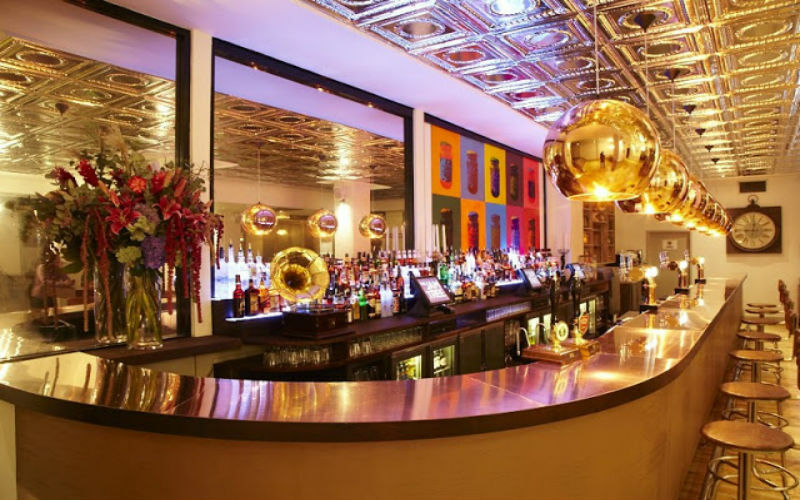 If you are in search of cocktails, live music and dancing however, you’ve definitely come to the right place. With bands on pretty much every night of the week, this jumpin’ joint is a great place to grab a pizza, grab a drink, or grab a partner and dance the night away! Ever wanted to know what the inside of a secret treasure trove looked like? 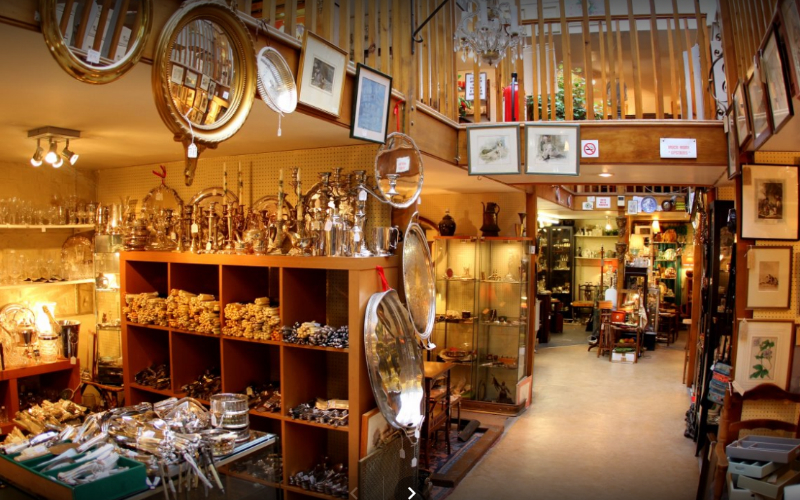 Visit the antiques market on Northcote Road and you can find out. The Tardis-like indoor market, which is set out over a couple of levels, is home to a wealth of vintage goods, from antiques to retro design pieces to jewellery and much, much more. 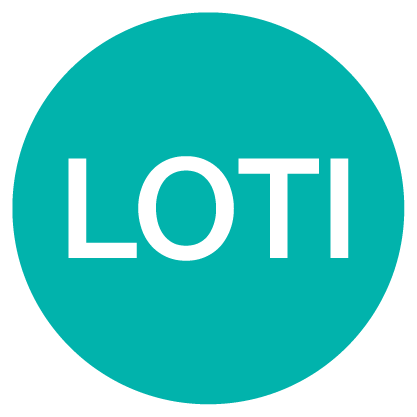 Be prepared to rummage and be prepared to haggle – but take it from us, it’s worth it. 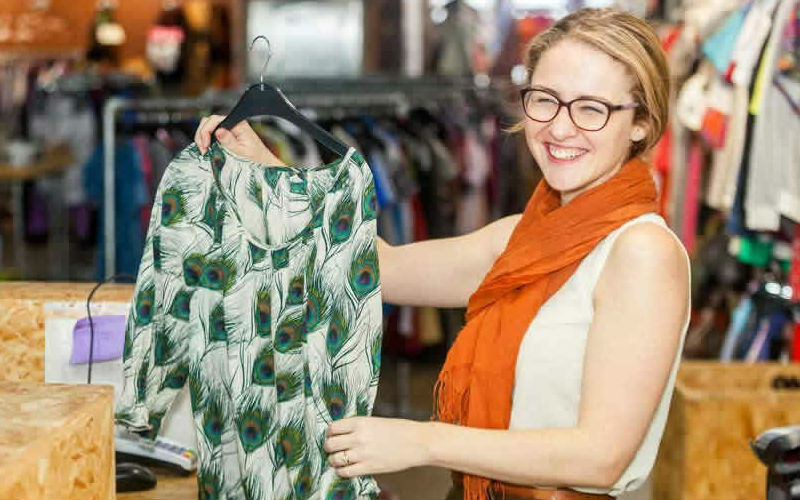 Whether you are looking for a bargain or want to do a little good, Traid is a one stop shop for secondhand clothing. Offering a large range of clothing, from menswear to womenswear to childrenswear plus accessories to boot, there’s a lot on offer at this deceptively large store, fronted by TRAID’s iconic and unusual window dressing. Let’s get ready to rummage! Calling all culture vultures! 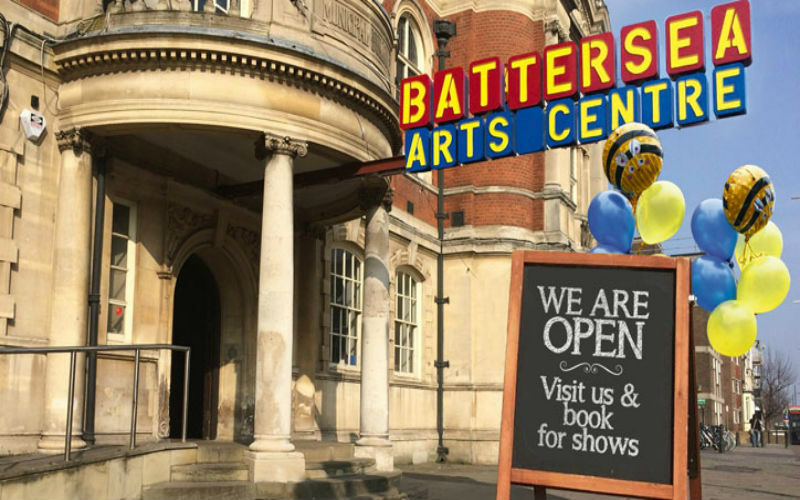 Battersea Arts Centre is one of the best places to check out new plays, live music and youth activities in the area. Working with over 400 artists to put on at least 650 shows EVERY YEAR, they really know how to get things done. Feeling peckish? There is also a bar and cafe open all day so you never have to leave… well, you may have to eventually… but you get the idea! Foodies be warned: this market might just be the undoing of you and your bank balance. Giving the opportunity for independent producers and farmers to come face to face with consumers every Saturday is Venn Street Market. From fruit and veg to bread, fish, eggs and street food, this food-lover’s paradise is a great place to pick up fresh produce and hear about its provenance from the people in the know. 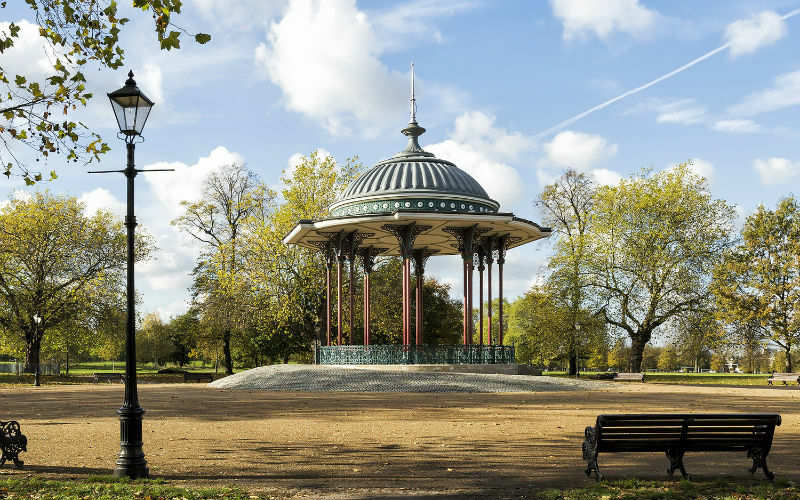 One of the larger green spaces in South London, Clapham Common is a haven for joggers, yummy mummies and selfie-enthusiasts. Featuring three large ponds and its iconic late Victorian bandstand, you can’t really get better, especially when the sun’s out! Though now the fourth location in this restaurant family, Macellaio RC Clapham still feels like a neighbourhood gem. 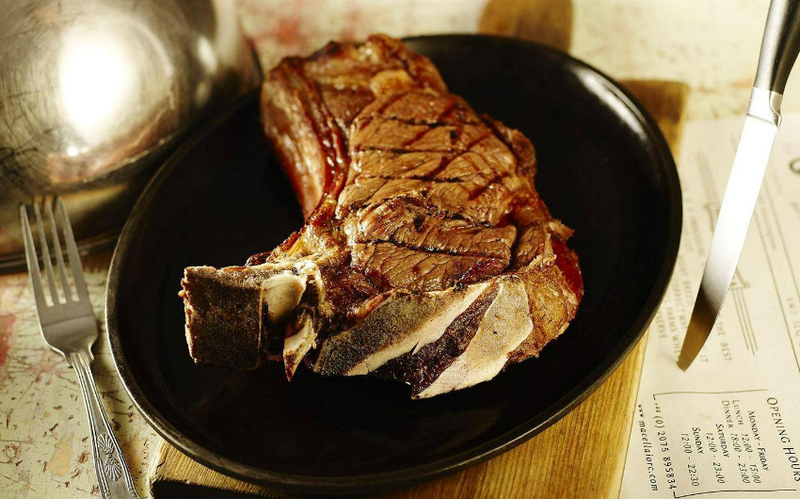 Pouring exclusively Italian wines, with no less than 100 different labels behind the bar, and serving dry-aged steak chosen from the butcher counter set directly amongst the tables in carpaccios, ragus, or thick cuts cooked with rock salt and Tuscan extra virgin olive oil, it’s the perfect spot for all the carnivores out there. 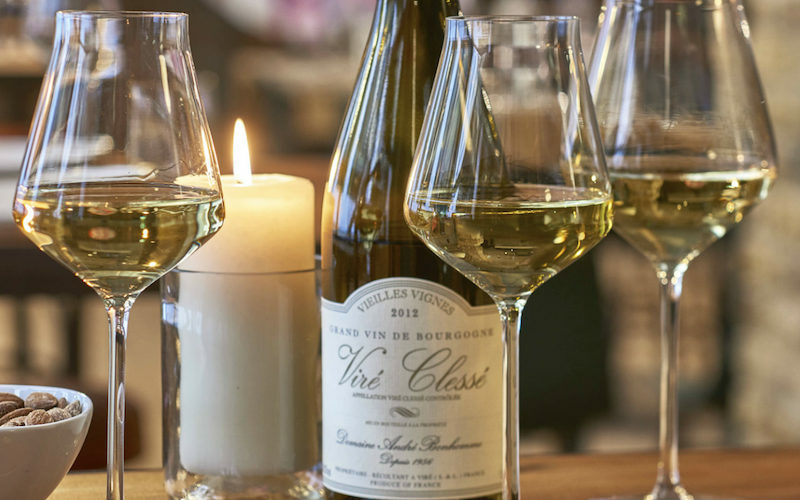 Humble Grape aren’t just opening a brand new site in Islington this summer, but they are also serving up an exclusive flight of German Riesling from its star producer all month long. And it’s your chance to taste the top Premier Cru and Grand Cru Riesling!